The Linear Tape File System (LTFS) makes viewing and accessing tape files easier than ever before. LTFS works in conjunction with LTO tape technology for ease of use and portability for open systems tape storage. With LTFS, one partition holds the content and the other holds the content’s index, so the tape can be self-describing to improve archive management. With the operating system’s graphical file manager and directory tree, utilizing data on an LTO Ultrium tape cartridge is as easy as dragging and dropping the file. 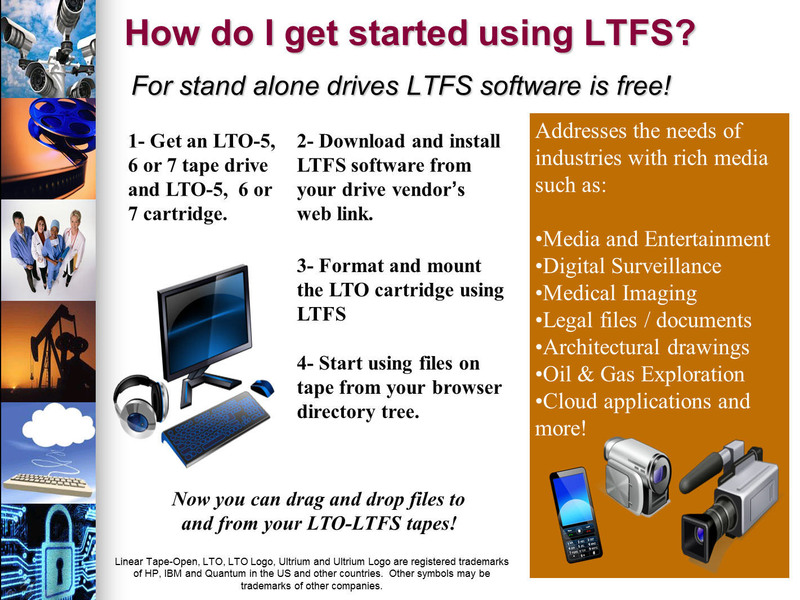 With LTFS, accessing data stored on an LTO Ultrium tape cartridge is as easy and intuitive as using a USB flash drive. With LTFS, tape looks more like disk. With more than 80 TB of storage, tape tops disk for the producers at BAMM. For archiving footage, LTO technology with LTFS has been a “no brainer” for the production company.